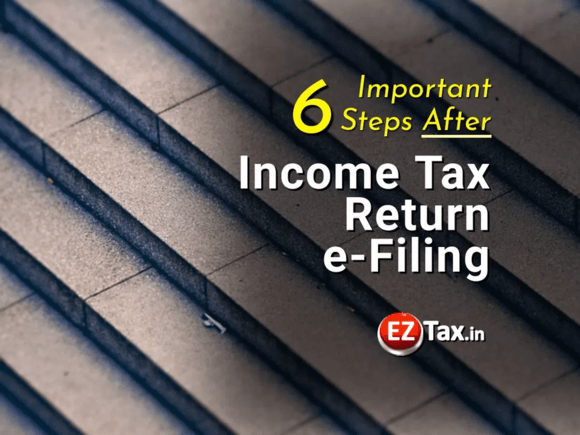 6 Important Steps after IT Return e-Filing ? Check for Intimations / Notices. Secure the IT Documents for future use. If you have not verified your ITR electronically then you are supposed to send a signed copy of ITR-V to CPC Bangalore (see below address). For detailed instruction visit How to Check ITR Status Online?